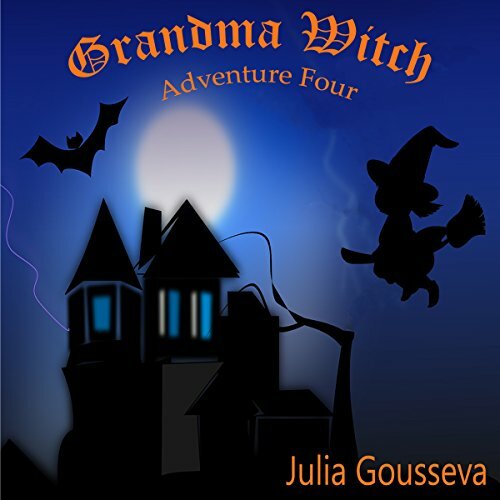 Grandma Witch: Adventure Four is the fourth book in the Adventures of Alex and Katie series. In each of the books, Alex and Katie enter a different Russian fairy tale and change the ending by their actions. In Grandma Witch: Adventure Four, they embark on a journey to rescue a little girl from the three-headed dragon. But they soon find out that the problems they're about to face are much more serious than they could have anticipated. Baba Yaga, the Russian witch, immersed the whole forest into total darkness by capturing the Guardian of Light and his horse. It's up to Alex and Katie to find the Guardian of Light and bring sunlight back into the forest. They have to be brave and clever as they cross dangerous rivers, find the hut on chicken legs, make potions, and learn what it means to be smart and kind. What a brilliant and original concept. Talented author Julia Gousseva has taken traditional Russian fairy tales and turned them into exciting modern-day fantasies. We’ve all fantasized about a portal to another world. Here it is. At the back of the fireplace in strange Aunt Karina's magical library, a secret door takes visitors through a portal to a magical world. In adventure four of the Alex and Katie series, the children enter the portal through a picture frame where they embark on an exciting adventure in a dark forest where they encounter a three-headed dragon and the infamous witch, Baba Yaga. But the thing that makes these stories unique and brings out the talent and creativity of author Julia Gousseva is that each of these stories has a different ending. This makes the stories seem real. The ending is up to Alex and Katie. Will they succeed? Will they save the little girl? Will they bring light back into the dark forest? If they are successful, they still have to make it back to the picture frame and cross back into Aunt Karina’s magical library. Hmmm. There is plenty of excitement here. So what could make this enchanting story even better? A reading by narrator Rebecca Lea McCarthy. But McCarthy does much more than a reading. McCarthy moves seamlessly from character to character, creating a true vocal acting performance. It’s so much fun and easy to visualize the story when listening to McCarthy’s fine performance. Just plain fun. Highly recommended for adults and children of all ages. I've read some Russian stories before and have always been intrigued by the Baba Yaga, Russian witch, character. This story makes Baba Yaga much less scary than the original Russian fairy-tales. I love the fact that she has a granddaughter who is a witch in training. Very cute! Wonderful narration, with different voices and voice effects for different characters.